Celebrate boundless love with a Filipino woman! Find her, by signing up on our site. Interracial marriages have risen through historical events that took place in the Philippines. The country has witnessed both small and large-scale immigration of Chinese, Americans, Europeans, Japanese, and South Asians and recently, Koreans, Persians, Brazilians and other Southeast Asians. In many ways, this has contributed to the enrichment of the country's perspective towards marriage standards and ethnicity. Tagged as mismatched couples, these couples with an age difference have been prevalent and have been gradually embraced by the Filipino society. Though May-December relationships may still draw surprise from conservative Filipinos, people who are in this kind of relationship deserve respect. This type of relationship may be different for some, but what matters is their mutual feelings and what they both share. There should be no any factor that can hinder marriage of a couple whose intention is genuine -- neither race, nor religion, nor social status, nor age. Philippine women, especially younger ones, are naturally beautiful because of their genes. They are a product of diverse ancestry. There is Chinese, Spanish and American blood that flows in their veins. Nowadays, you will likely meet many mixed-blooded Filipino women in the country. They possess a distinct beauty, which is undeniably incomparable to others. She influences you with her youthful mindset and energetic lifestyle. Age does not really define gap among people; it bridges the gap especially in the case of a May-December relationships. 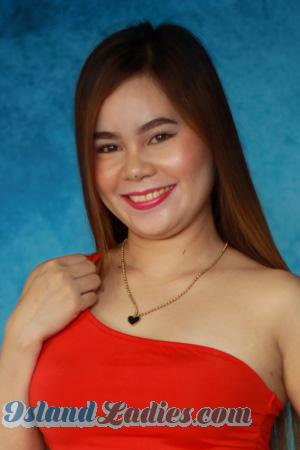 By marrying a younger Filipina, she can influence you with her youthfulness and energy, with the way she thinks about life and her disposition. You don’t grow older, you continually grow together instead. She is capable of carrying children and raising a family of your own. A young woman is biologically fertile to carry a child. She can give you the number of kids that you want to have and raise them right. Knowing that Filipino women are dedicated to building a family of their own, you will get a higher chance to be a father of a big happy family. She recognizes your value and needs. You can satisfy her, and this goes the other way around. She knows your value and treats you in the best way you deserve. Filipino wives love to take care of their husbands. They submit themselves and entrust their physical and emotional investment. She lives an adventurous life with you. A young person has an adventurous attitude by nature. Your younger Filipina wife may think there are still so many things to explore, including many aspects of your married life. She would be delighted to share new experiences with you, especially those that are new to you both. This helps you prevent losing your enthusiasm towards doing things that may be out of your time. There can be a lot of questions why some young women prefer settling down with an older man. It is a matter of personal preferences. However, marriage with a significant age difference is advantageous for both sides. A young Filipino woman dating a mature, foreign man sees him as above her in status, attributed from the so-called colonial mentality. Given that power is a natural aphrodisiac for women, this means Filipinas are naturally attracted to men from abroad. You can offer her emotional and financial stability. Women who have sought for love from foreign men may have been disappointed by their experience with the local men. Generally, women look for men whom they can be emotionally stable with and share financial accountability, which is crucial in family building. Many women all over the world want to marry men outside their race, especially those who have not found the values they are looking for in a husband within their country. 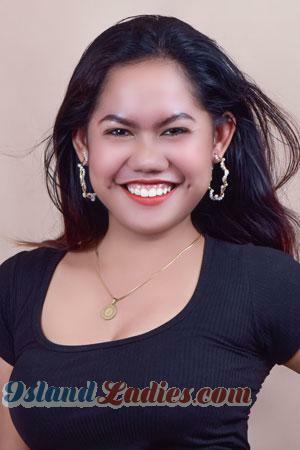 If you are a decent foreigner with manners, and a desire to be in a truly monogamous relationship, you are perfect in the eyes of a Filipina girl. You are the man she has asked from God. Single Philippine women are among the most religious women in the world. They entrust their fate to God, including the man that they will end up with. She considers you as a blessing from above and she will cherish and treasure you without reservation. Truly, love has never been defined by any qualifications. It never has a definite standard. The law of the land gives everyone the freedom to love. When you find the one, you will cease to think about people's ideals --- you will just let it happen. If marrying a younger Filipino woman gives you great happiness, be it. The best Philippine marriage agency offers matchmaking services that will ease the process of finding your potential bride. Find love in the islands of the Philippines, by signing up for free on our site. Hundreds of Filipino women are waiting to meet you. Come and celebrate boundless love!